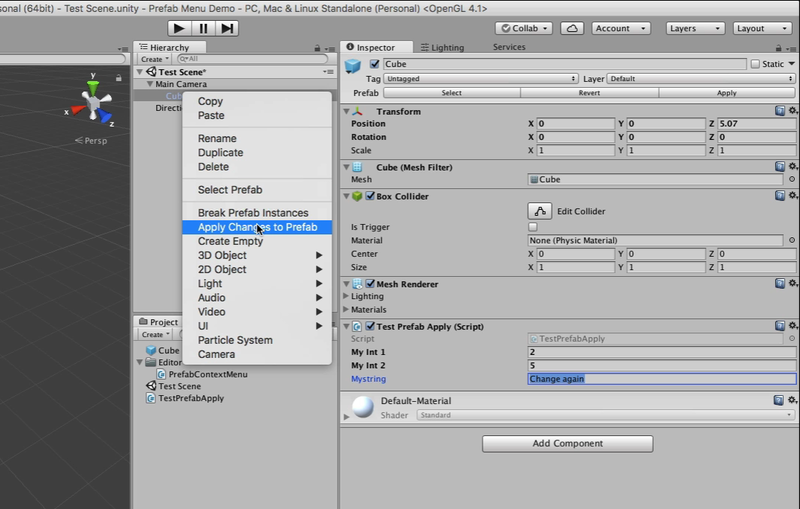 It’s extra steps and work to keep going to the GameObject window in Unity3d to select ‘Apply Changes to Prefab’ after selecting the prefab. Now you can do it just by right-clicking the prefab and selecting ‘Apply Changes to Prefab’ from the context menu. Just download the editor file here and add it to a folder named Editor (as seen in project folder in the video).